The diagnosis of a headache as primary is usually made after a person undergoes medical tests and investigations which are normal. These tests likely rule out the presence of significant illness or injury. However, this doesn’t mean that these headaches have no physical basis. It used to be thought that if a physical problem could not be found to explain pain, the person’s pain was “all in the head.” Most clinicians and researchers now understand that this makes no sense at all for any type of pain problem including headaches. We now understand that all pain derives from an interaction of both physical and psychological factors. All pain perception, indeed perception of any kind, depends on the neurological and chemical activity in the brain. As such, all pain and headaches have underlying physical factors contributing to them whether current medical tests can measure and identify those underlying physical factors or not. For example, recent findings suggest that people who experience migraine headaches have abnormalities in the way their brains produce neurotransmitters, chemicals that enable nerve cells to communicate with each other. Thus, it would be more accurate to say that so-called primary headaches are headaches for which the underlying physical (neurological and chemical) factors have not yet been clearly identified. Secondary headaches are headaches for which some causative illness, injury or physical disorder has been clearly identified. We also understand from research that the way we cope with pain and other types of stress changes the activity in the brain. The mind-body connection is a complicated two-way street. Influencing one changes the other. This explains the effectiveness of psychological treatments. Not only do they help people cope better with all types of headaches, but they often result in people experiencing less pain because coping better actually leads to real physical changes in the brain. Migraine headaches usually begin as a dull ache but then become a severe, throbbing, or pulsating pain that can be focused in any area of the head. Sometimes the pain is on one side. Migraines often involve stomach upset including nausea and vomiting. When people experience a migraine, they are also often sensitive to light and noise. About 15 % experience an aura that precedes the attack. The aura may consist of changes in vision, for example, seeing flashing lights or other hallucinations, changes in smell, taste, and touch. Some people experience numbness or pins and needles sensations or have problems with remembering things during the aura. All of these symptoms disappear as the headache sets in. Some people can identify things that often trigger their migraines. These may be eating certain foods, hormonal changes, weather changes and stressful experiences. But for many people, it is not so clear. Many factors combine to lead to migraines. Sometimes it is stressful to try to figure out the triggers. In that case, focusing your energy on coping better and reducing your pain and distress will likely be more productive. Like migraines, tension headaches can be severe. 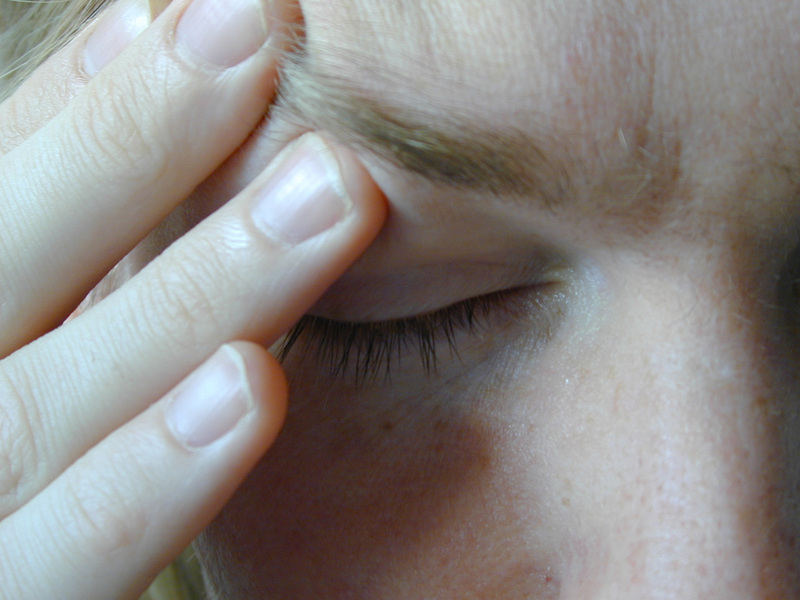 A stressful experience is often associated with tension headaches. The pain sensation is usually a non-pulsating pulling, tightening, or pressure feeling that is dull and involves both sides of the head. The pain usually occurs in the forehead areas, temples or at the back of the head and may radiate to the neck and shoulders. Tension headaches can occur once in a while, or they can become a chronic problem. They are not typically accompanied by stomach upset or sensitivity to light or noise. Cluster headaches occur in groups over a few weeks or months and then disappear often for long periods of time, perhaps for months or even years. The pain starts suddenly and is usually severe and debilitating. It typically disappears during the day, lasts for only a few hours, and recurs later on. People with cluster headaches usually have one to four headaches each day and they usually occur at the same time each day. The pain is usually on one side of the head during one group of headaches, and is often focused behind one eye. The eyelid on that side may droop and the nostril on that side might become congested. The headaches do not usually cause stomach upset or sensitivity to light and noise. Cluster headaches often occur with seasonal changes. A sinus headache can occur when a sinus becomes inflamed and blocked as a result of an allergic reaction or an infection. When the cause is an infection, the person may have a fever or may have just had a bad cold. Some people experience sinus headaches after a flight or after diving, due to changes in pressure. The pain is often a dull, throbbing pain in the front of the face and head. When the person bends down or leans over, the pain usually gets worse. Cold and wet weather may also increase the pain. Sinus headaches usually begin in the morning and tend to improve as the day goes on. Sinus headaches are not usually accompanied by stomach upset and are not usually aggravated by light and noise. When people have any type of headache, they can often trigger rebound headaches by taking too much medication or by taking it for too long. Physicians usually recommend that people withdraw the medication gradually in order to resolve this problem. If you think you have rebound headaches, you should consult with your physician. Some people experience headaches as the result of an illness, such as a brain tumor. However, a brain tumor is rarely the cause of a headache. 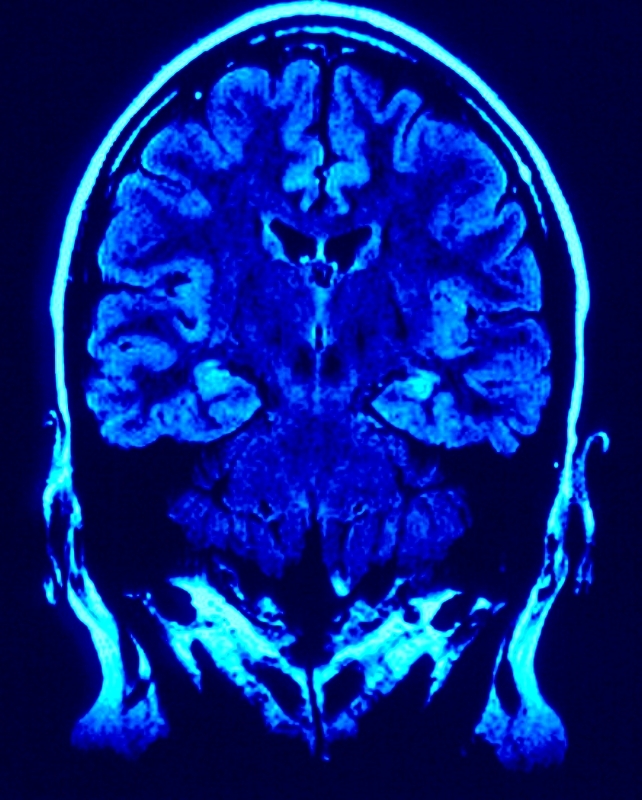 When people have a brain tumor, they usually experience other symptoms such as seizures, personality changes, weakness, problems walking, and problems with thinking and memory. Sometimes people who develop headaches worry that they might have a brain tumor, and the stress they cause themselves actually leads to more headaches. It is always wise to consult with your physician to discuss your headache problem. Some people experience headaches after a head or whiplash injury in an accident, or after suffering some other physical injury to the head such as a concussion. Headaches due to a concussion usually go away with time. It is important to consult with your physician if you have experienced a head injury and again if the headaches persist or get worse. The pain sensation, intensity and frequency of headaches caused by illness and injury vary from person to person. People with these types of headaches may also experience tension headaches or migraines. In other words, you can experience more than one type of headache. How Accurately Can My Type of Headache Be Identified? Diagnosing the type of headache problem you have is not necessarily straightforward. For example, many people who experience migraine headaches also experience tension headaches and vice versa. While research has suggested that certain treatments are more effective for certain types of headaches, some treatments are helpful even when the diagnosis is not clear. Psychological treatment can help people suffering from any type of headache, including headaches due to brain tumors and head injuries. The first thing most people do when they develop a headache problem that interferes with their lives is to consult with their family physician. This is always wise and it is strongly recommended if you have not already done so. You will want your physician to rule out any illness or injury that might be underlying the headache. Assuming that the headache is diagnosed as migraine, tension or cluster, the physician usually prescribes medication. Medications for migraine include drugs that aim to prevent the migraine, and reduce the intensity of the pain. These drugs include antidepressants, anticonvulsive, anti-inflammatories, ergots, triptans and painkillers. The ergots and triptans are specifically given in an effort to prevent the headache by causing the blood vessels in the brain to get narrower. It is thought that if the blood vessels do not dilate, the headache can be prevented. Some people who consult with medical pain specialists receive injections or nerve blocks for their headaches. As with any treatment approach, this treatment provides relief for varying periods of time. Psychological treatment is an educational approach that helps people learn coping strategies that can lead to a reduction in the frequency and intensity of headaches and a better quality of life. All painful sensations, including headaches, reflect a complicated interaction between the physical and chemical changes in the brain and the thoughts, emotions and reactions we experience. Your reaction can either make the pain worse or better. But most of the time, we do not think about our reactions as part of the problem. When we experience a headache, most of us think about using resources outside of ourselves to cope. For example, we take a pain killer. But we need to literally open our minds to the potential we have inside ourselves to cope better and reduce our pain and distress. That’s where psychological treatment comes in. Many people experience frustration and anger when they experience a headache, which is understandable because the pain interferes with their day. However, many are unaware that their frustration and anger contributes to the pain. Even if they become aware of this connection, many do not know how else to cope. Psychological treatment aims to help people gain insight into their reactions to their headaches so that they can regain control of their lives and reduce their pain and suffering. As each person is unique, the treatment approach for each person is also unique. Regardless of approach, people who receive psychological treatment learn how to use their own resources to complement the other treatment strategies they are using to improve their quality of life. This entry was posted in Uncategorized and tagged cluster headache, head injury, headache, headache psychological treatment, headache psychology, headache treatment, migraine headache, primary headache, rebound headache, secondary headache, sinus headache, tension headache by Waan. Bookmark the permalink.